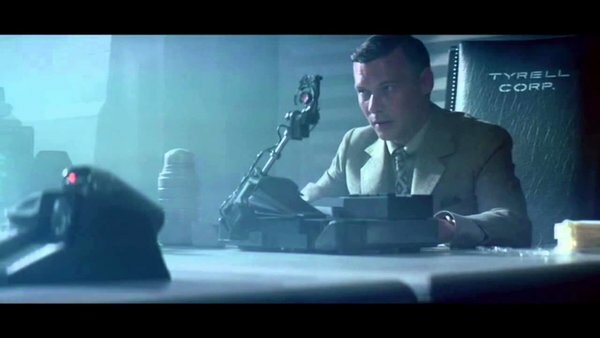 The Voight-Kampff test was a test used as of 2019 by the LAPD’s Blade Runners to assist in the testing of an individual to see whether they were a replicant or not. It measured bodily functions such as respiration, heart rate, blushing and eye movement in response to emotionally provocative questions. It typically took twenty to thirty cross-referenced questions to distinguish a Nexus-6 replicant. Préparez vos ... serviettes - après-demains sera le jour de la serviette ! 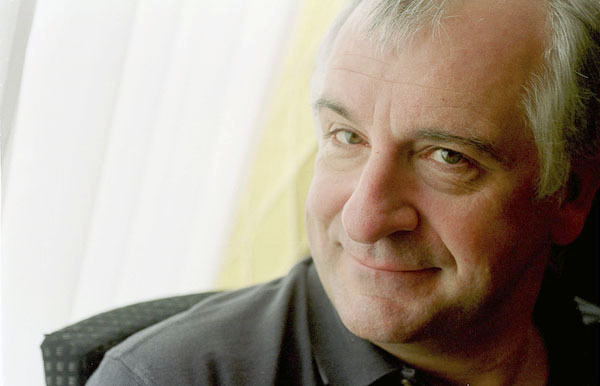 Towel Day is celebrated every year on 25 May as a tribute to the author Douglas Adams by his fans. On this day, fans openly carry a towel with them, as described in Adams’ The Hitchhiker’s Guide to the Galaxy, to demonstrate their appreciation for the books and the author. The commemoration was first held 25 May, 2001, two weeks after Adams’ death on 11 May. Douglas a publié un livre qui devrait intéresser chaque éditeur qu’il publie des livres, de la musique, des logiciels de navigation, de bureautique ou de comptabilité. Voici un extrait qui montre pourquoi. It is also the story of a book, a book called The Hitch Hiker’s Guide to the Galaxy - not an Earth book, never published on Earth, and until the terrible catastrophe occurred, never seen or heard of by any Earthman. Nevertheless, a wholly remarkable book. In fact it was probably the most remarkable book ever to come out of the great publishing houses of Ursa Minor - of which no Earthman had ever heard either. Not only is it a wholly remarkable book, it is also a highly successful one - more popular than the Celestial Home Care Omnibus, better selling than Fifty More Things to do in Zero Gravity, and more controversial than Oolon Colluphid’s trilogy of philosophical blockbusters Where God Went Wrong, Some More of God’s Greatest Mistakes and Who is this God Person Anyway? In many of the more relaxed civilizations on the Outer Eastern Rim of the Galaxy, the Hitch Hiker’s Guide has already supplanted the great Encyclopedia Galactica as the standard repository of all knowledge and wisdom, for though it has many omissions and contains much that is apocryphal, or at least wildly inaccurate, it scores over the older, more pedestrian work in two important respects. First, it is slightly cheaper; and secondly it has the words DON’T PANIC inscribed in large friendly letters on its cover. It looked insanely complicated, and this was one of the reasons why the snug plastic cover it fitted into had the words Don’t Panic printed on it in large friendly letters. The other reason was that this device was in fact that most remarkable of all books ever to come out of the great publishing corporations of Ursa Minor - The Hitchhiker’s Guide to the Galaxy . The reason why it was published in the form of a micro sub meson electronic component is that if it were printed in normal book form, an interstellar hitch hiker would require several inconveniently large buildings to carry it around in. The Hitchhiker’s Guide to the Galaxy has a few things to say on the subject of towels. A towel, it says, is about the most massively useful thing an interstellar hitch hiker can have. Partly it has great practical value - you can wrap it around you for warmth as you bound across the cold moons of Jaglan Beta; you can lie on it on the brilliant marble-sanded beaches of Santraginus V, inhaling the heady sea vapours; you can sleep under it beneath the stars which shine so redly on the desert world of Kakrafoon; use it to sail a mini raft down the slow heavy river Moth; wet it for use in hand-to-hand-combat; wrap it round your head to ward off noxious fumes or to avoid the gaze of the Ravenous Bugblatter Beast of Traal (a mindboggingly stupid animal, it assumes that if you can’t see it, it can’t see you - daft as a bush, but very ravenous); you can wave your towel in emergencies as a distress signal, and of course dry yourself off with it if it still seems to be clean enough. There is only one city on Ursa Minor Beta, and that is only called a city because the swimming pools are slightly thicker on the ground there than elsewhere. Most particularly it shines on a building, a tall beautiful building consisting of two thirty-storey white towers connected by a bridge half-way up their length. The building is the home of a book, and was built here on the proceeds of an extraordinary copyright law suit fought between the book’s editors and a breakfast cereal company. The book is a guide book, a travel book. ... in many of the more relaxed civilizations on the Outer Eastern Rim of the Galaxy, it has long surplanted the great Encyclopaedia Galactica as the standard repository of all knowledge and wisdom, for though it has many omissions and contains much that is apocryphal, or at least wildly inaccurate, it scores over the older and more pedestrian work in two important respects. First, it is slightly cheaper, and secondly it has the words DON’T PANIC printed in large friendly letters on its cover. It is of course that invaluable companion for all those who want to see the marvels of the known Universe for less than thirty Altairan Dollars a day - The Hitchhiker’s Guide to the Galaxy . The Hitchhiker’s Guide to the Galaxy defines the marketing division of the Sirius Cybernetics Corporation as “a bunch of mindless jerks who’ll be the first against the wall when the revolution comes,” with a footnote to the effect that the editors would welcome applications from anyone interested in taking over the post of robotics correspondent. Curiously enough, an edition of the Encyclopaedia Galactica that had the good fortune to fall through a time warp from a thousand years in the future defined the marketing division of the Sirius Cybernetics Corporation as "a bunch of mindless jerks who were the first against the wall when the revolution came." Does Stress Speed Up Evolution ? Toutes les épisodes de la série télévisée The Hitchhiker’s Guide To The Galaxy de 1981.